First in a series of compilations featuring Bourbonese Qualk. 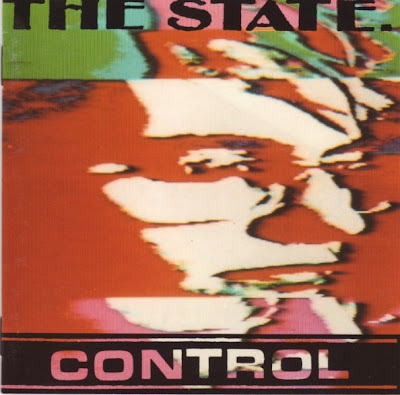 Fourth and last post by The State. If you want more, you can download "Soundcities" MP3 only release here. 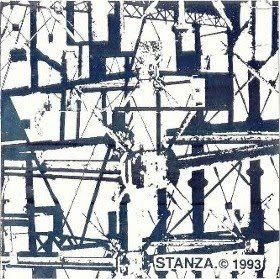 Steven Tanza (aka Stanza), co-founder of Bourbonese Qualk with Simon Crab, left the band after the "Bourbonese Qualk" LP. 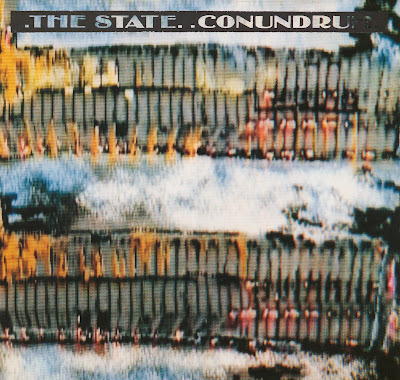 In 1988, the same year Bourbonese Qualk played live in Bordeaux, that debut LP of Stanza's new project, The State, was released. 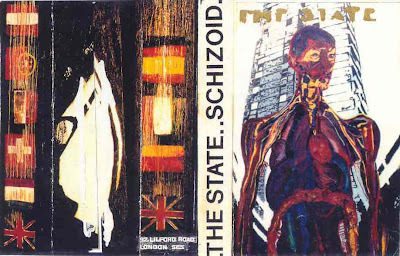 Other The State releases will be posted in the next few days. 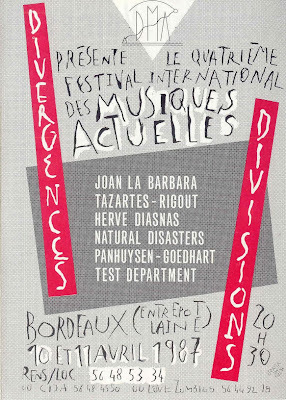 That great Bourbonese Qualk concert was recorded live during the first night of Divergences/Divisions V festival, Bordeaux, France, March 11 1988. More Bourbonese Qualk live or rare material can be downloaded here, here and here. 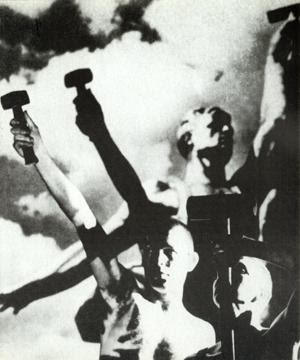 Recorded live during Divergences/Divisions IV festival, Entrepôt Lainé, Bordeaux, France, April 11 1987. 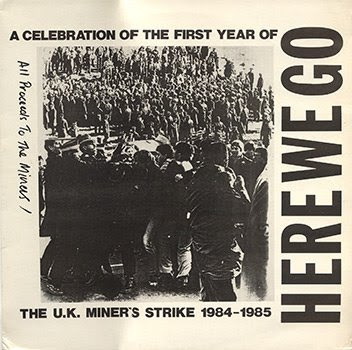 Some tracks are the same as on the live LP/CD "A Good Night Out" released the same year. Libellés : DMA2, Festival: Divergences/Divisions, Label: DMA2, Test Dept. 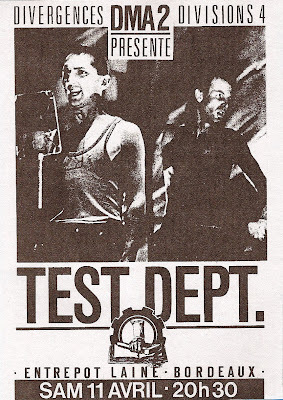 Test Dept. 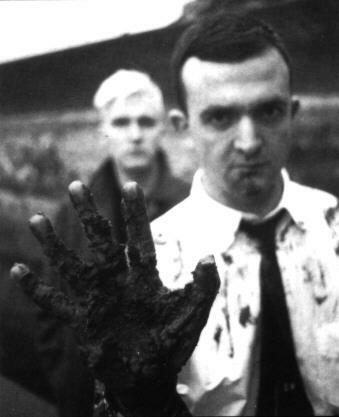 recorded live during the "Transmusicales de Rennes" festival, Salle de la Cité, Rennes, France, December 10 1986. The sound is not excellent but this is a wonderful document. Libellés : Festival: Transmusicales de Rennes, Test Dept. Thank you so much Rainier for that rip ! 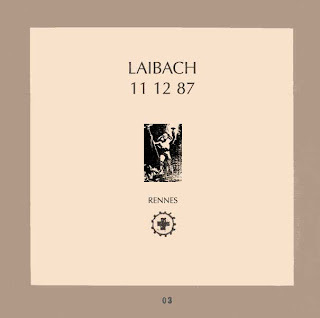 Recorded live in Rennes, France, during "Transmusicales de Rennes" festival, December 11 1987. An enormous thank to paphio23 for ripping that very rare cassette ! 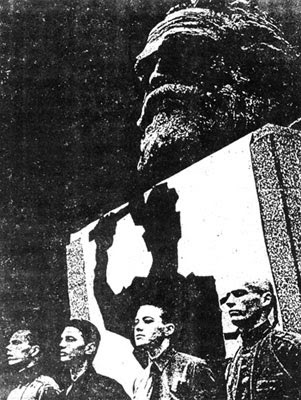 First Laibach concert in France, during Divergences/Divisions III festival organised by DMA2 in Entrepôt Lainé, Bordeaux, on March 15th 1986. For more informations about DMA2, go there. 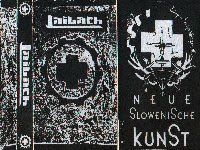 An interesting video clip about Laibach history (with "Ti, Ki Izzivas" live version as soundtrack) can be seen here.